MINNEAPOLIS -- It was a bazaar for telehealth services, devices and systems. The annual conference and trade show of the American Telemedicine Association (ATA 2016) drew about 6,000 visitors and showcased the latest telehealth gear and software for delivering healthcare to patients in non-traditional settings, whether in their homes or at remote rural locations. 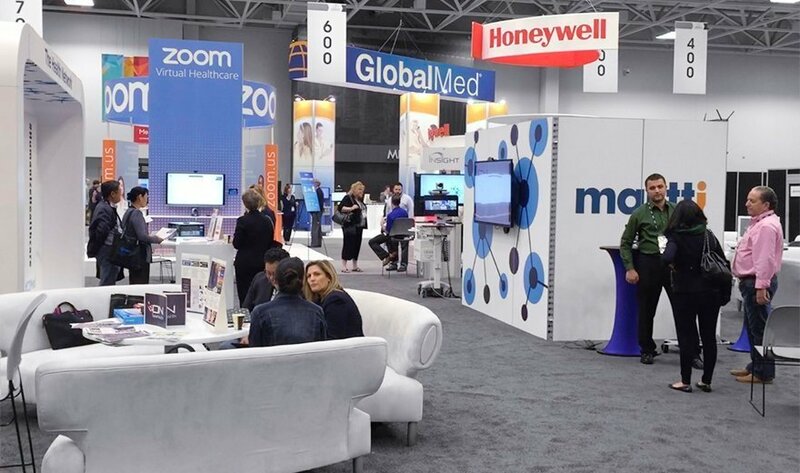 This year, the bustling show floor was packed with multiple video conferencing systems for virtual visits, compact remote patient monitoring kits that patients with chronic conditions can take home with them, and ultra-sleek remote medicine mini-clinics for delivering care from afar. Some of the telehealth services and devices shown have both clinical and consumer applications, like connected thermometers from several vendors, and some of the video systems on display incorporated analytics and clinical workflow modules. The technology underneath some of the telemedicine services and products was invisible, "white-labeled" and stamped with the name of the primary vendor. In others, the brand of the technology developer was out front. An omnipresent theme was the ongoing battle of the industry to market its telehealth services, devices and systems wherever it wants, irrespective of what people in the business consider artificial barriers, such as state lines. In the meantime, though, take a look at this selection of neat telehealth stuff from ATA 2016. What factors are preventing telemedicine systems from increasing their reach and how can those issues be conquered?